The world heritage is of exceptional richness, whatever the civilization to which the visitor turns, he will always find on his way a gigantic statue, a temple adorned with a thousand splendours or a construction defying the laws of nature. Rather than proposing a large number of these masterpieces, you have below a short list, each of which is perfectly described, explained and studied. 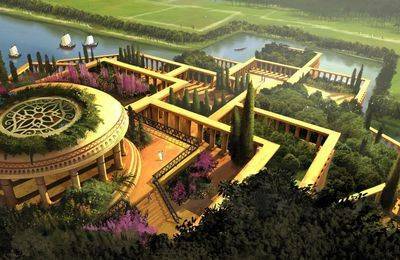 Unable to treat the wonders of world heritage without evoking the seven wonders of the ancient world. The following is a long list of details about the context of their constructions, their roles, events in their lives, personalities related to these monuments, and even information on archaeological excavations are the object! You also have a list of the 7 wonders of the modern world. This is a list recently drawn up by a private organization. It therefore has nothing to do with UNESCO. Moreover, the processes used to choose which monuments were to belong to it were decried. Despite all this list has been promulgated, and it is impossible to challenge it now. This is not serious in that it has no heritage value since it has not been established by a public international body, above all suspicions. 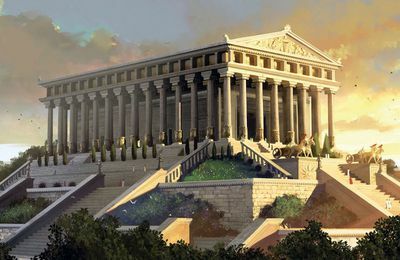 Some monuments on this site require less development, they are described in the form of a very complete card, but a card only. 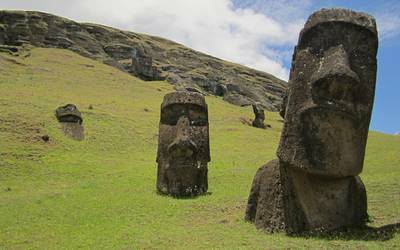 The history of these monuments, the description, the way to visit them, everything is indicated in the form of small texts. You will obviously find pictures, their symbols, and even anecdotes. New! Have you ever wondered what height makes the tallest statue in the world? 30m? 40m? 60m? No, you're still not there! It is much higher, much higher! And again, we never count the base. 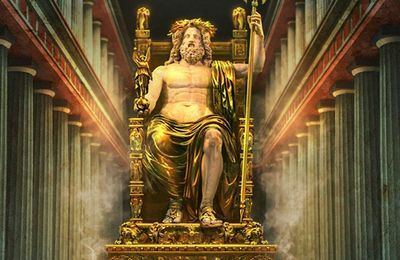 You have the answer on the two links below, one for statues over 30m, and the other for the highest statues per country. 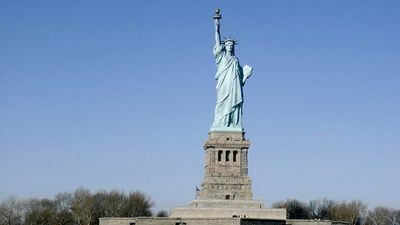 The list begins with a human adventure, the one experienced by Auguste Bartholdi when he decided to erect a gigantic statue in honor of the Franco-American friendship. He was far from imagining the difficulties he encountered, beginning with the reluctance of the Americans who did not really see the interest of such a statue on their territory. It must be admitted that the reasons for this gift went beyond a mere offering, it was above all a way of criticizing the repressive policy applied in France ... It is the origin of the Statue of Liberty. Still at the end of the nineteenth century the French engineer who had built the internal structure of the statue of Liberty was noticed by successfully building a metal tower more than 1000 feet high, ie 300m. 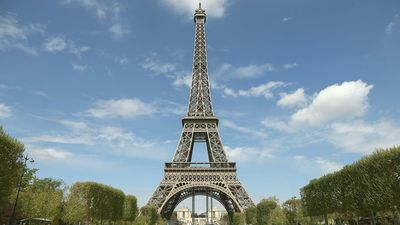 His name was Gustave Eiffel and his tower, the famous Eiffel Tower, is still the emblem of Paris despite the fact that it should have been demolished in 1909. It was the army and its teletransmission essays that saved it. Since it still dominates the city of its tall size. Change of time and place: We land in India, in the city of Agra, in the seventeenth century. The Italian artisans, and especially Florence, are invited to work on the mausoleum of the Moghul Empress Mumtaz Mahal, who died giving birth to her 14th child. Arrived on the spot, they discover a gigantic 35-year-old project designed to raise the most beautiful jewel of Indo-Muslim art, a splendor known today as the Taj Mahal. Nowadays there remains a marvel, despite the outrages of time. Let us now return to Europe, and more precisely to London. The British capital was built around a fortress that had locked the city for almost a thousand years: the Tower of London. 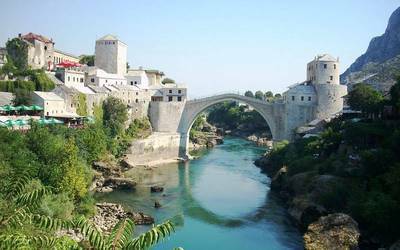 Built by William the Conqueror at the end of the eleventh century, it was the object of two important modifications in the thirteenth and fifteenth centuries but was not further modified thereafter. Result: a medieval fortress that reached us in impeccable condition in a very old style. This testimony of a tumultuous past goes hand in hand with the sulphurous reputation of the tower, invariably described as a place of imprisonment and torture ... what it was, partially. 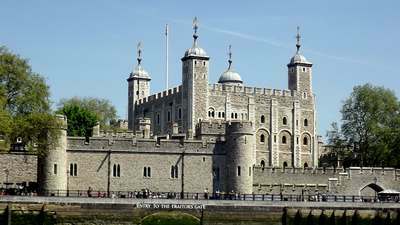 The Tower of London is a beautiful heritage of the past, and a reason alone to visit the British capital. Still in Europe, but in a Latin country, Italy, we meet the largest amphitheater of the Roman Empire: the Colosseum. This magnificent building, which has unfortunately been largely degraded during the course of history, has been the site of many antique shows and has undergone many renovations, a succession of events that gradually brought it back to its present state. it is nowadays. Many believe that this arena was mainly used for gladiatorial combat and killing. 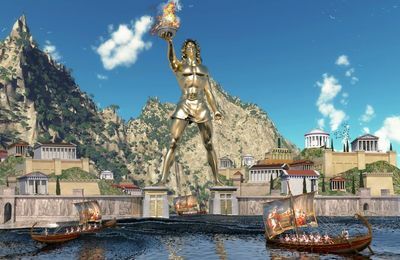 While it is true that such shows were popular, it was far from being the only ones, the Romans moving there in numbers to see other types of shows, such as hunting wild animals for example, or reconstructions of naval battles. Many other elements of heritage will complement this list, but the spirit of this website is that it is only to describe an element of heritage when the author is sure of having enough information and time to treat it in depth. The work is progressing slowly, but the information is always very complete. The Statue of Liberty is a monumental sculpture erected on Liberty Island, a small island at the entrance to the port of New York (NY, USA). Its official name is "Freedom Lighting the World". 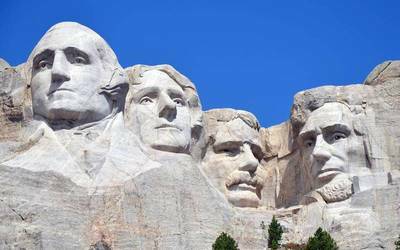 It is one of the most famous sculptures in the world, it was offered by France in the United States to celebrate the centenary of the declaration of independence. The Eiffel Tower is the most emblematic monument in France. It is a metallic construction of more than 300m high made in 1889 for the Universal Exhibition of Paris. Nicknamed 'La dame de fer', it gives the capital of France an undeniable advantage. 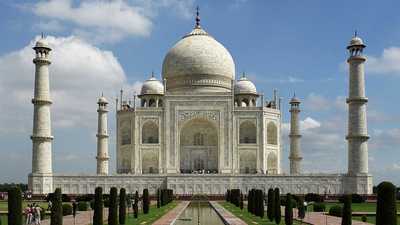 The Taj Mahal is an emblematic symbol of India, probably the most famous landmark in the country. It is a mausoleum built in the 17th century by Shah Jahan to house the burial of his wife, who died giving birth to her 14th child. It is a major architectural work in the world heritage, at the crossroads of different styles. 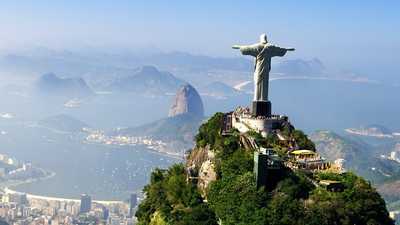 The Redeemer Christ of Rio is at the top of the Corcovado, one of the steep mountains of Rio de Janeiro, Brazil. It is an important religious figure for all of Christendom, but it is also the symbol of Brazil. It is the work of Paul Landowski, a Frenchman who built it in 1931. 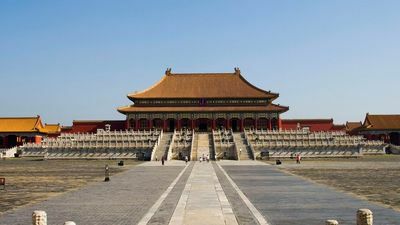 The forbidden city of Beijing is the former imperial palace of the Ming and Qing dynasties, Chinese dynasties. It is in the center of Beijing. In practice, it is a complex of buildings surrounded by high walls forming a city in the city, dedicated to the emperor and his court. The quality of the constructions is exceptional, especially since it is entirely made of wood. The Tower of London is a medieval fortress of the British capital, a fortified stronghold which has taken a special place in the history of the country. Indeed, the one who owned the Tower of London owned London, and through the largest city in the country, the whole country. It is not surprising that English royalty has known here its darkest pages. 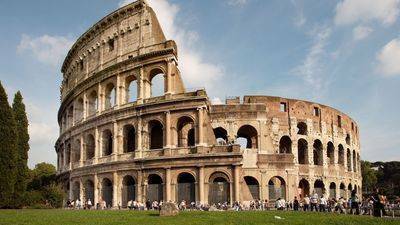 The Colosseum is the largest amphitheater ever built by the genius of Rome during ancient times. Strongly degraded today, it could accommodate between 40,000 and 70,000 spectators, the population of a small town! 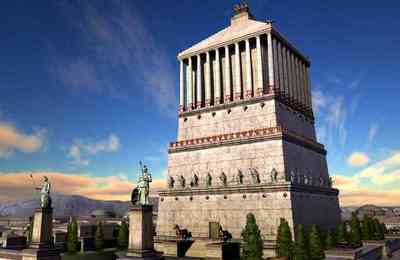 Its conception reflects the Roman society of its time, very hierarchical. Thus the best seats on board were reserved for the senators and the emperor, while the upper gallery served the people. 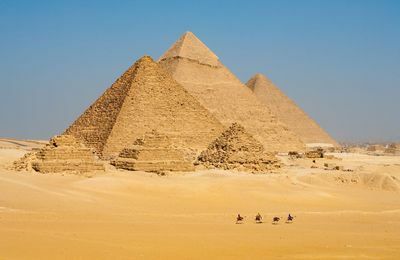 One of the oldest monumental constructions in the world, the pyramids of Egypt appeared in the 27th century BC. 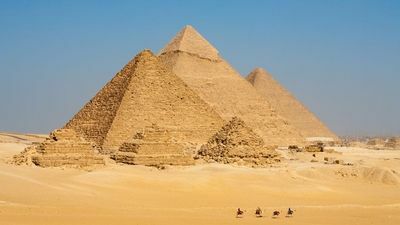 There are several periods of which the most famous, the period of the giants, bequeathed to history the three famous pyramids of the Giza plateau, those of Cheops, Khephren and Mykerinos. 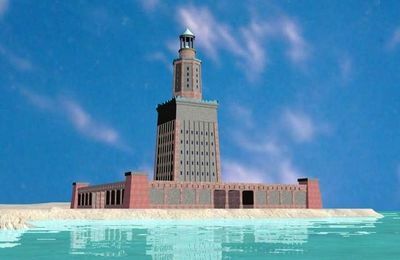 But pyramids in Egypt, there are many others. 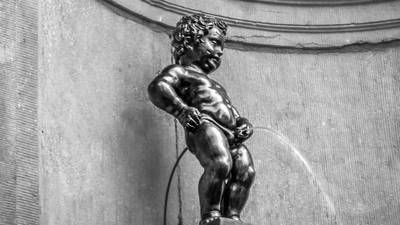 Representative of the population of Brussels, the Belgian capital, and by extension of the entire population of Belgium, this little boy who does in front of everyone what is usually hidden is the symbol of this people conquered many times, but who always ends up proving his independence. And that, while she is only a small statue of just 55cm high! 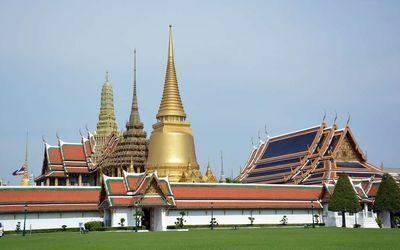 The temple of the Emerald Buddha is the main Buddhist temple of Thailand. It houses the famous Emerald Buddha (which is actually a jade sculpture), receptacle of religious fervor throughout the country. This temple is not only a great religious center, it is also a popular tourist site because it has among the most beautiful historic buildings in the country, true masterpieces of meticulousness, decoration and beauty.